I always have lots of projects going on. 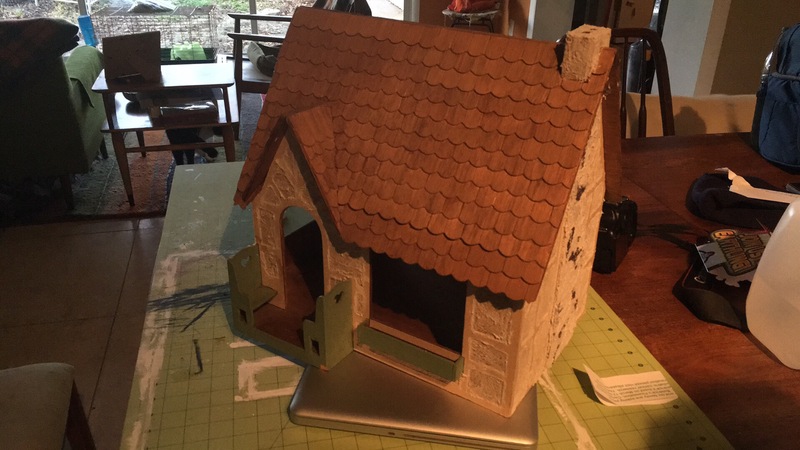 Right now there is the trailer, the Creatin Contest build, and a Tudor cottage. The cottage is the Sugarplum cottage kit. 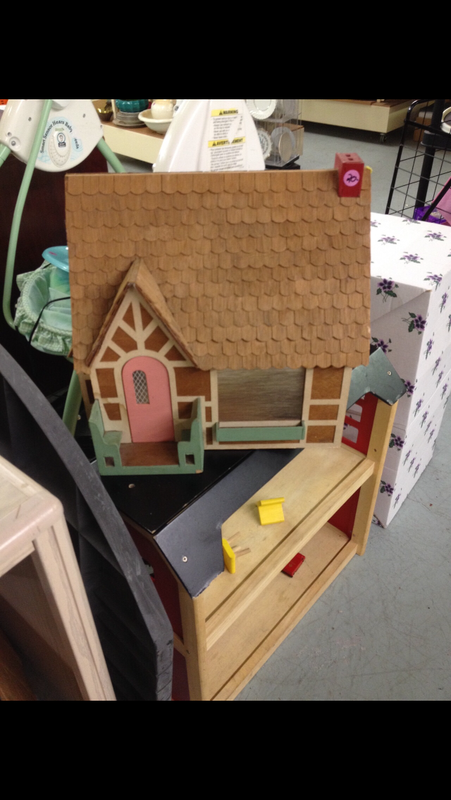 My mom found it at a thrift store. It’s cute, but I’m not sure the scale. I assumed it was 1/12, but all of my 1/12 furniture is too big. I’ve decided to fix it up. Maybe I’ll end up selling it. Maybe I’ll end up fully decorating it. Here’s a bad cellphone picture of the stucco I’ve added. I also added bricks to the fireplace. 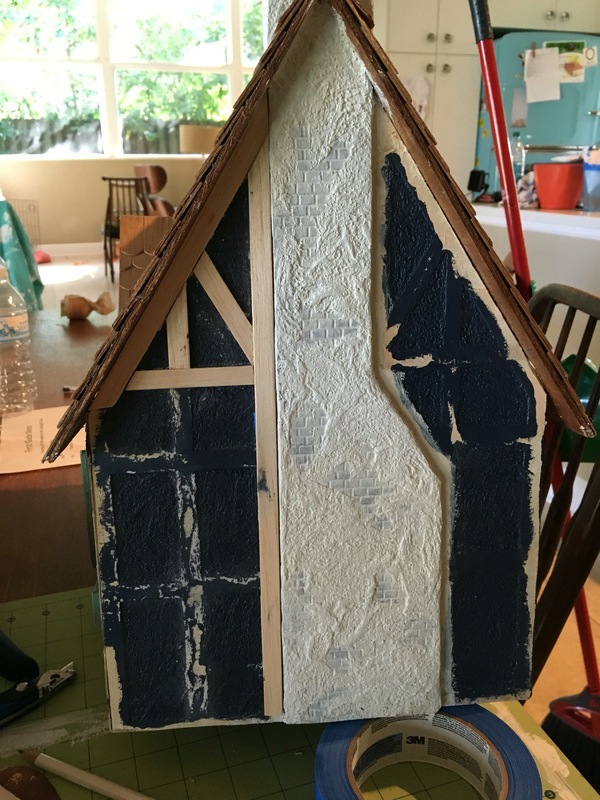 I spent the better part of today sanding stucco, painting, and adding wood timbers. I’m being untraditional and painting it navy with walnut timbers and cream trim. It was fun piecing all of the wood together. Until I ran out. I guess I’ll be making a trip tomorrow for more wood. The two ends are done. 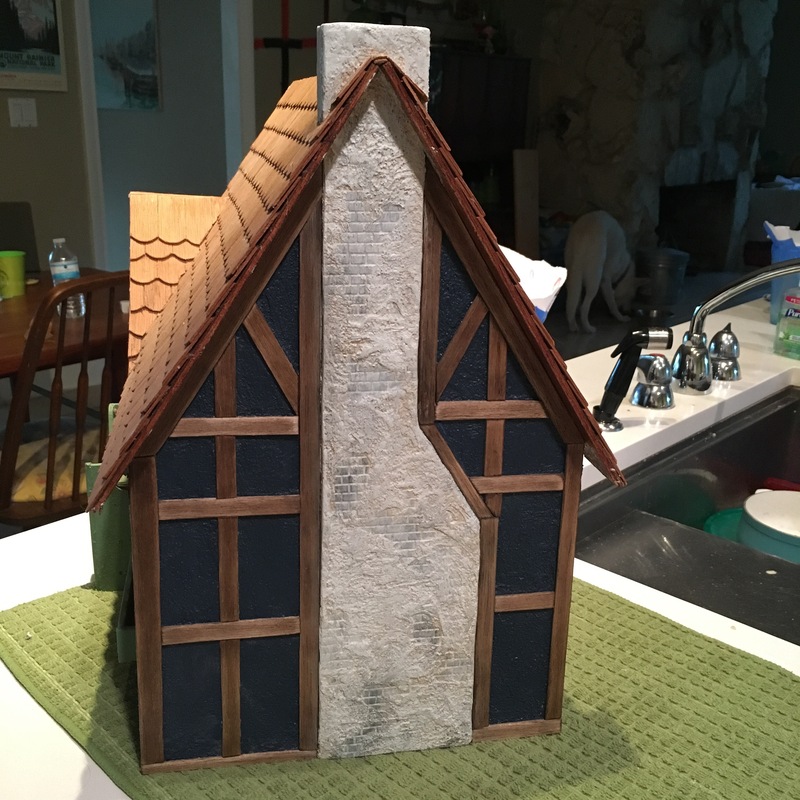 I did a little painting to add depth and dimension to the chimney and stucco. I’m trying not to go overboard, but sometimes I just can’t help it. I’m sure the structural integrity of the timbers wouldn’t hold up in real life. I’ll do better structural research next time. 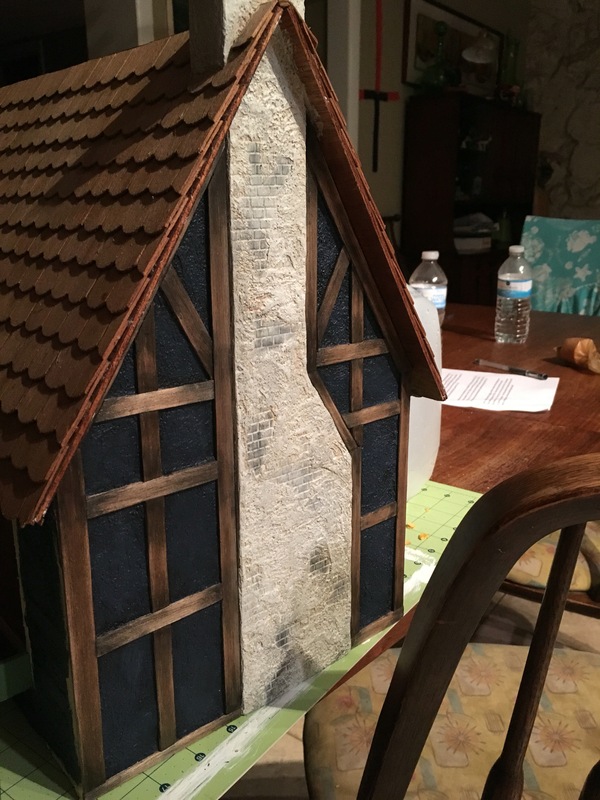 After the timbers, I’ll start working on the windows. 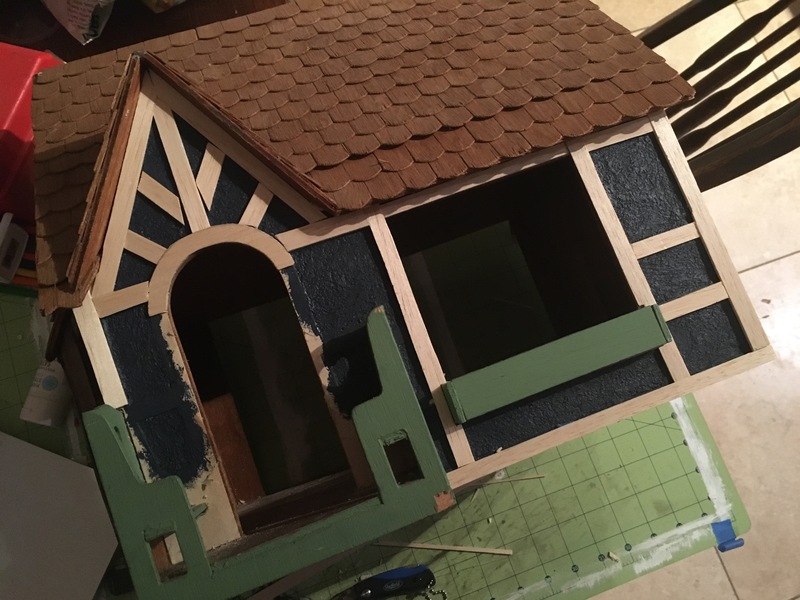 I’m using the windows that I didn’t use from my Denise’s City Cottage (the HBS Creatin Contest Kit) and attempting to build a few of my own. It’s an adventure. A chance to learn some new things. A chance to stretch my creative wings before I jump into the Backyard Bungalow.